look these up robaxin without rx Emmett O’Donnell, Jr. was born on September 15, 1906 in Brooklyn, New York. He graduated from the United States Military Academy, West Point in 1928 and commissioned as a Second Lieutenant in the United States Army. He served during World War II in the Air Corps and United States Army Air Forces. As a Brigadier General, he led the first Boeing B-29 Superfortress raid on Tokyo, November 24, 1944. This was the first American attack on the Japanese capital since the “Doolittle Raid” on April 18, 1942 . O’Donnell transitioned to the United States Air Force with the creation of that service in October 1947. 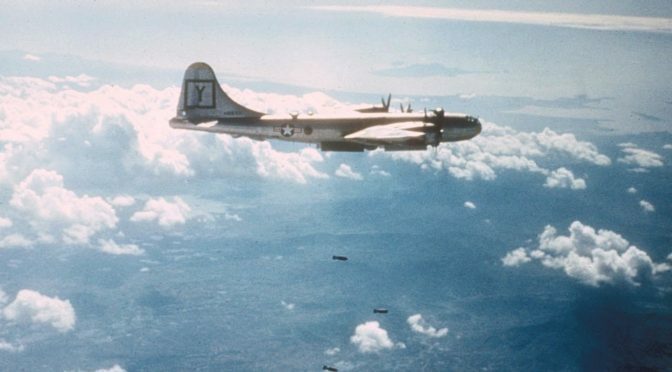 With the outbreak of the Korean War on June 25, 1950, O’Donnell, as commander of the Fifteenth Air Force, deployed B-29 units to Japan to begin striking targets on the Korean Peninsula. O’Donnell personally commanded three B-29 raids over Korea between July 13 and September 16, 1950 for which he was awarded the second highest award for heroism, the Distinguished Service Cross (the Air Force Cross was not created until 1960). The President of the United States of America, under the provisions of the Act of Congress approved July 9, 1918, takes pleasure in presenting the Distinguished Service Cross (Air Force) to Major General Emmett O’Donnell, Jr., United States Air Force, for extraordinary heroism in connection with military operations against an armed enemy of the United Nations while serving as Commanding General, Bomber Command, Far East Air Forces (Provisional), in action against enemy forces in the Republic of Korea from 13 July to 16 September 1950, during three important combat missions over enemy targets. On 13 July 1950, General O’Donnell led and directed the strike of fifty-two aircraft which dropped four hundred and forty-nine tons of explosives on railroad yards and shop installations at Wonsan, resulting in the complete destruction of railroad repair facilities in that area. On 16 August 1950, he led and directed ninety-eight aircraft in a maximum effort strike during which eight hundred and forty-six tons of explosives were dropped on reported enemy materiel and troop concentrations in the Waegwan area, breaking up enemy preparations for an attack in that sector. On 16 September 1950, General O’Donnell led and directed an eighty aircraft strike which dropped six hundred tons of bombs on targets in the Pyongyang area, causing extensive damage to oil refineries, warehouses, and a steam power plant. During these strikes, his aircraft was subject to attack by enemy aircraft and ground anti-aircraft fire, and he was in danger of death or capture by the enemy. His exemplary action in constantly risking his life while personally leading his flight, although in a position where such duty was not required of him, was a source of inspiration for other members of his command, reflecting great credit on himself and the military service. O’Donnell retired as a full General on July 31, 1963. During his career, he was also decorated with the Distinguished Service Medal, the Silver Star, the Legion of Merit, and four awards of the Distinguished Flying Cross. General O’Donnell passed away at age 65 on December 26, 1971. He rests in peace in the United States Air Force Academy Cemetery. Previous Post#TFH on #VLR 1/21 – Our United Strength, We’re BACK!